A Diner I Don’t Know About?!? To celebrate my success at Weight Watchers on Saturday, my lovely friend Eleni from my WW meeting invited me to lunch to celebrate. I thought that was a great idea and we made plans for Wednesday. I thought we’d go somewhere nearby but I had forgotten that Eleni’s parents own a diner and so we were off to The New Berlin Diner in, where else, Berlin! I used to pass it on the way to meetings when I was still working. I recognized it right away. I never had the opportunity to stop. So glad I had the chance this time! 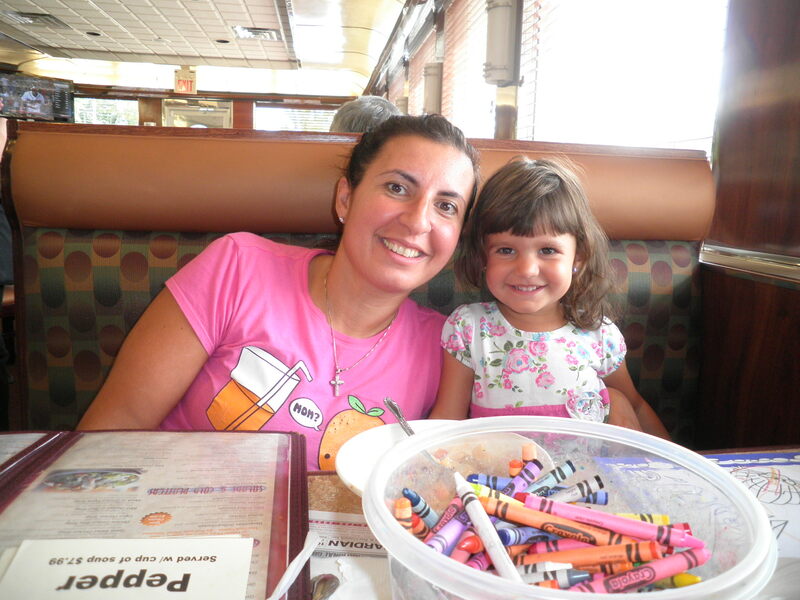 Eleni with our little partner in crime, 2-year-old Yianna! She’s SO adorable. I think she was very well-behaved for a 2-year-old. The big tub of crayons that Ya Ya gave her helped a lot! 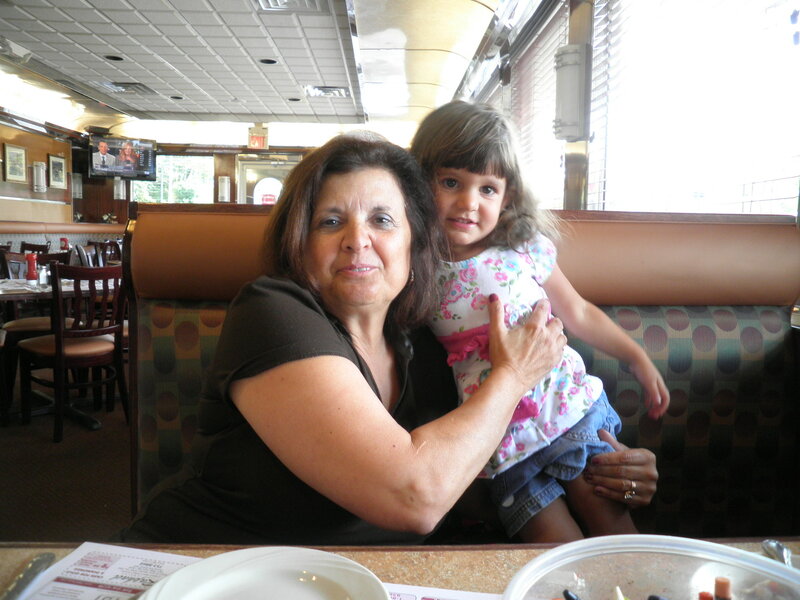 Yianna with her Ya Ya, Eleni’s Mom, Mrs. Haloulos. What a sweet lady! Eleni gave me a tour of the kitchen and I got to meet her Dad who was cooking away. 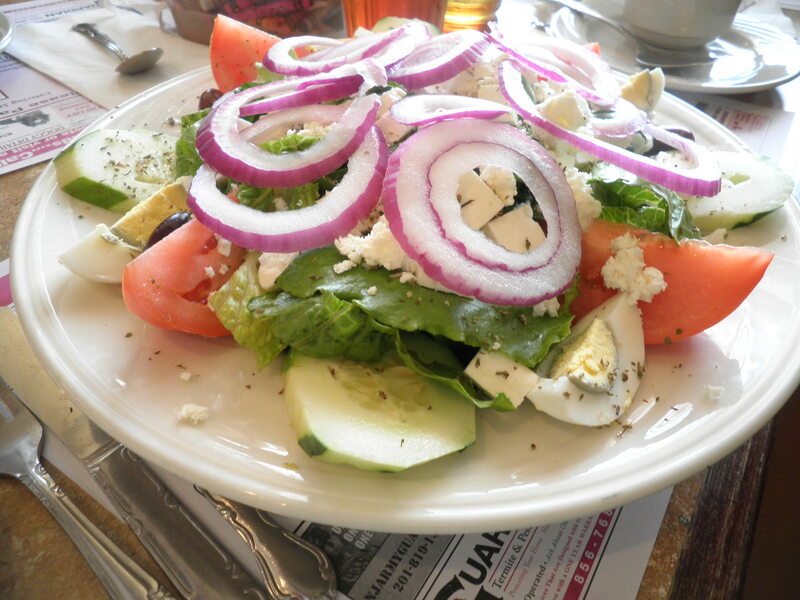 The menu is extensive and there were a number of choices I could have had but I figured I should stick with my Greek Salad Tour of North America and have…Greek Salad! Luckily, the menu stated there were anchovies so I was able to ask for them to be left off. I also got to taste a wonderful side dish that Eleni’s Dad had just freshly made: zucchini in tomato sauce with dill!! It was just delicious! I learned something important during that lunch. 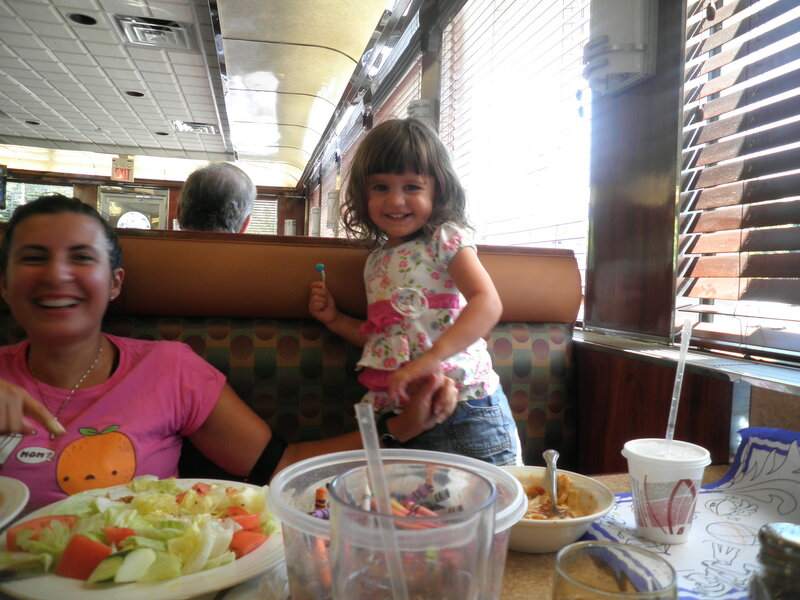 Greek families are a lot like Italian families…They like to feed you! Since I couldn’t finish my salad, I was taking that home, but they also insisted I take something for Ralph (a turkey wrap with fries which he later declared yummy!) and a container of the zucchini. What a great time we had. Dinner for Ralph was his turkey wrap, for me my left over salad. I just realized I didn’t mention the dressing. So many times when you ask for the dressing on the side with a Greek salad, it’s either too much vinegar or too much oil. This was perfect and perfectly seasoned. I still have some left which will be tasty on my next home-made salad! I have to think of what to do with my zucchini! Can’t wait! It was a great time and a great celebration. 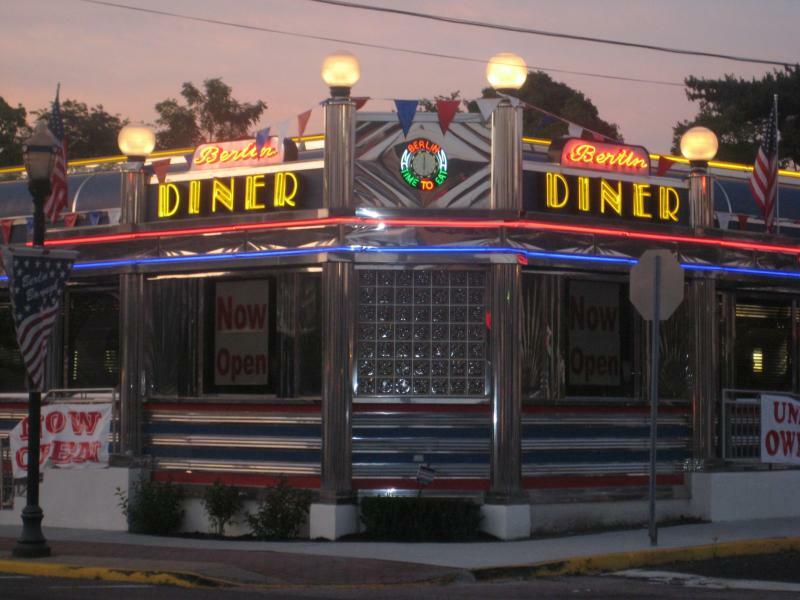 If you’re in this area, you should definitely go to The New Berlin Diner…It’s the Best! I hope to get to see my own package of cuteness today or tomorrow…Little Michael is coming for a visit! So excited to see him! This entry was posted in Uncategorized and tagged BTMH, Weight Watchers. Bookmark the permalink. 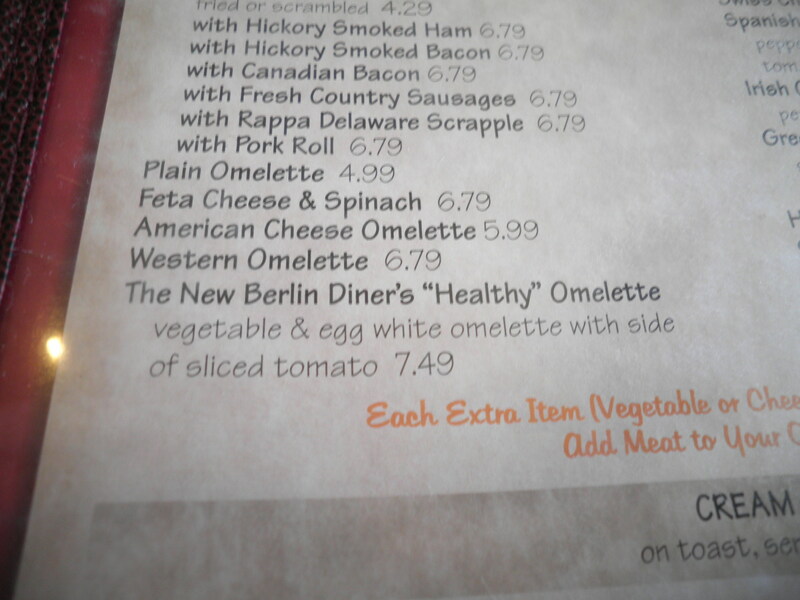 I, as you well know, am not a vegimatarion, such as your self, however I believe the item 6 spaces up from your luscious looking healthy meal the health omlet is a bit overboard. Scrapple with pork roll, is even too much for my sensibilities. Does a cardiologist sit with you while you eat it??? JP, I guess we could request it…they did everything but cut up my salad for me! I didn’t notice that. Must admit, pork roll is one of the things I miss…never scrapple!! Thanks, Meg!! I keep trying! Oh, she really is cute! And your salad looks really good. I’m actually surprised that I’m craving it, since I’m really NOT a salad-lover…but I’d eat some of that one! 🙂 Adorable! 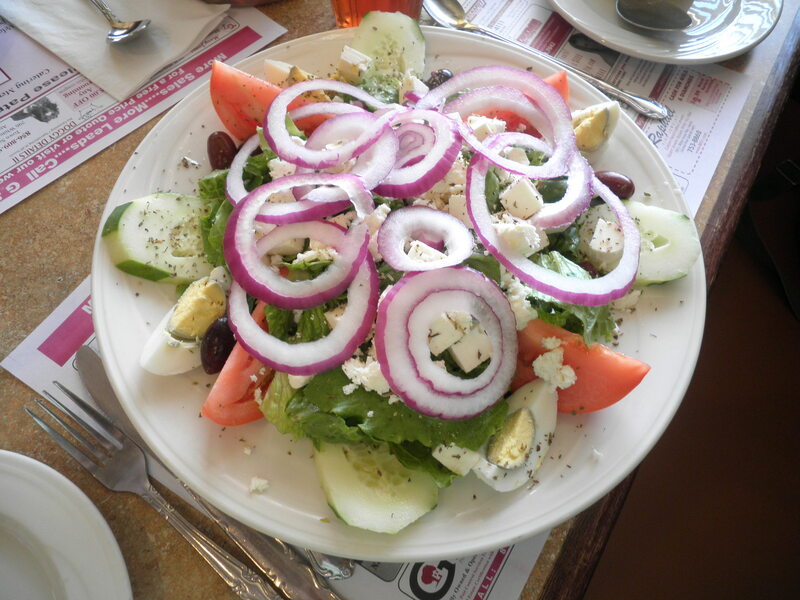 We should make the trek there sometime soon so I can wonder at the delicious Greek things, too. It’s a date, Cutie Pie!